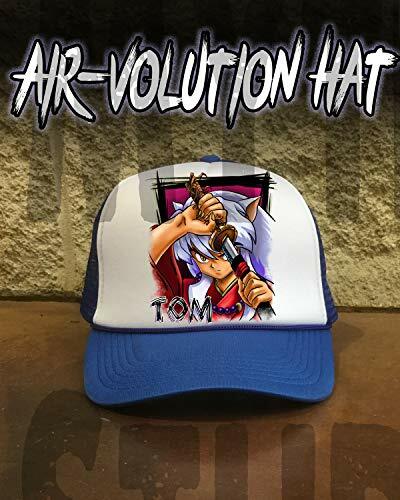 Perfect for cosplay, ski, snowboarding, club gear, or just to be original. It's a great gift or buy it for yourself. 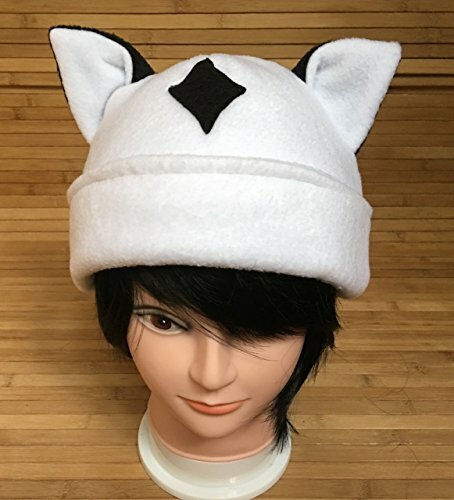 This anime cat hat is an adult size approximately 23" around. 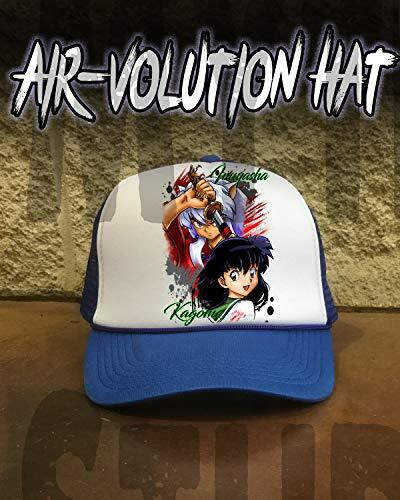 Sesshomaru hat is made from white and black fleece, navy and red felt. All items are brand new, hand cut and stitch together with industrial serger for durability. This is machine washable with air drying but spot cleaning is recommended to make it last longer. Due to the handmade nature of this item, there maybe some slight variations in color, print placement, size and color of monitors. By making your purchase if you choose to, you are agreeing to the store policies. Please read it before you make your purchase. Please refer to the Frequently Asked Questions under Shipping & Policy Info. Perfect for cosplay, ski, snowboarding, club gear, or just to be original. It's a great gift or buy it for yourself. 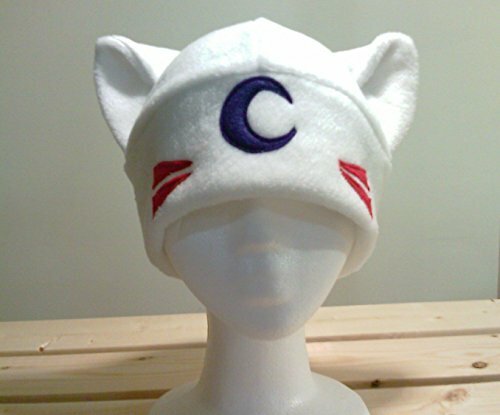 This anime cat hat is an adult size approximately 23" around. 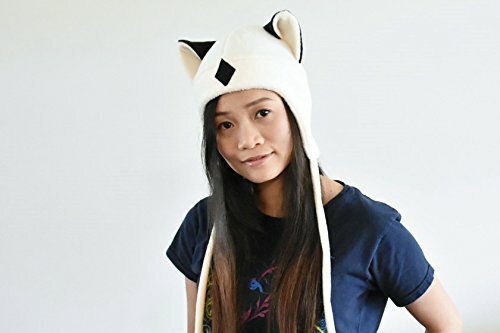 Kirara hat is made from white and black fleece. All items are brand new, hand cut and stitch together with industrial serger for durability. This is machine washable with air drying but spot cleaning is recommended to make it last longer. Due to the handmade nature of this item, there maybe some slight variations in color, print placement, size and color of monitors. By making your purchase if you choose to, you are agreeing to the store policies. Please read it before you make your purchase. Please refer to the Frequently Asked Questions under Shipping & Policy Info. 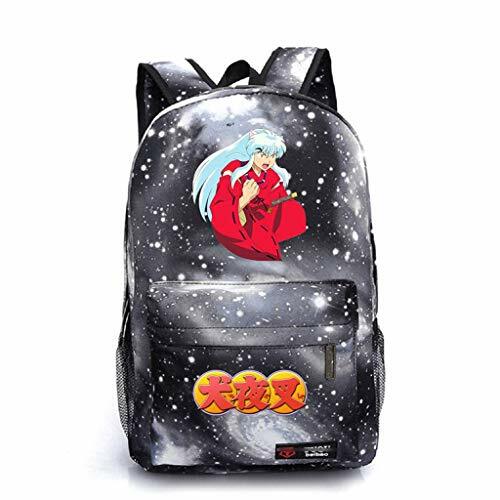 This is a unique anime backpack, Let's crazy for it!Product Specifications:Size: 11.8 L * 17.7 H * 5.9 W inches / 30 * 45 * 15 CMMaterial: Super high quality durable soft canvas Notes:1, Please note that the color of the actual item may be slightly different from the photos due to lightings and other factors. And please make sure the size of the bag is OK for you before placing the order,thanks.2, Please allow slight measurement deviation for the data.It is a great gift for anime fans.Our shop have more this anime bags and backpacks for your choice. 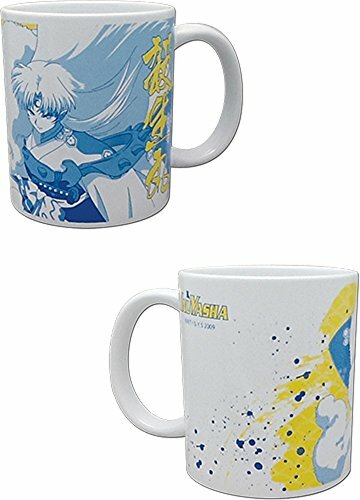 Official InuYasha anime mug by Great Eastern Entertainment. Mug features Inuyasha's brother, Sesshomaru. Size approximately 3" W x 4"H. Do not microwave. Hand wash. One mug in package. 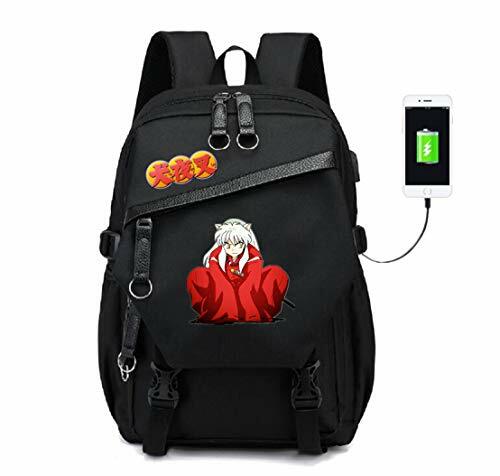 This is a unique anime backpack, Let's crazy for it!Product Specifications:Size: 11.8 L * 17.3 H * 6.7 W inches / 30 * 44 * 17 CMMaterial: Super high quality durable soft oxford fabricNotes:1, Please note that the color of the actual item may be slightly different from the photos due to lightings and other factors. And please make sure the size of the bag is OK for you before placing the order,thanks.2, Please allow slight measurement deviation for the data.It is a great gift for anime fans.Our shop have more this anime bags and backpacks for your choice. 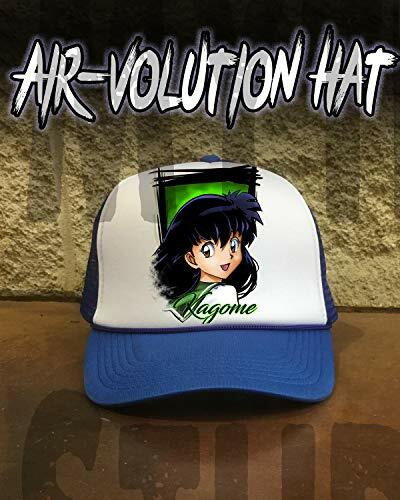 Shopping Results for "Inuyasha Hat"